Researchers at Technical University Munich have reported findings related to the development of colon cancer. 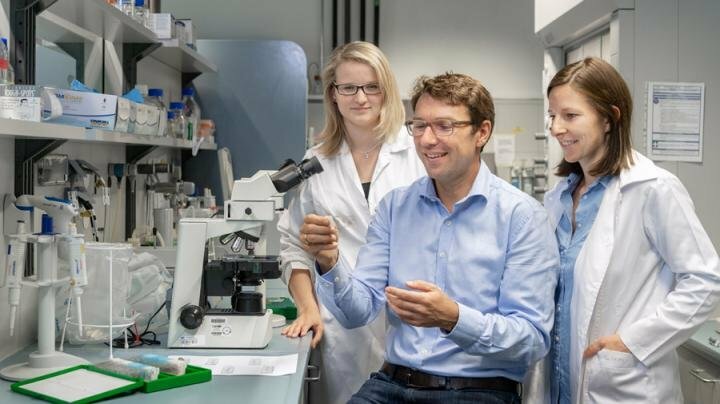 "We originally wanted to study the role of bacteria in the intestines in the development of intestinal inflammation," explains Professor Dirk Haller from the Department of Nutrition and Immunology at the Weihenstephan Science Centre of the TUM. "However, the surprising result for us was the discovery that bacteria, together with stress in cells, caused tumours (exclusively in the colon) and without the involvement of inflammation." The investigations were initially carried out using a mouse model. In germ-free animals in which the activated transcription factor ATF6 regulated stress in the intestinal mucosa (intestinal epithelium), no change could be observed. But as soon as the microbiota were transplanted back into germ-free animals, tumours developed in the colons of the mice. Using Koch's postulates, Haller and his team were able to show that microorganisms are involved in the development of cancer in the colon. The transcription factor ATF6 regulates stress in cells, and the intensity and duration of activation is increased with diseases. "However, it is not cell stress alone that leads to tumour growth, but the combination of stress and microbiota that favours cancer growth," says Haller, head of ZIEL—the Institute for Food & Health at TUM. Subsequently, in cooperation with the clinic on the right side of the Isar (Prof. Janssen), the data of 541 patients with colon cancer were examined. In those cases in which the level of transcription factor ATF6 was significantly increased, triggering stress, the recurrence rate after surgery increased: About 10 percent of patients were at risk of developing colon cancer a second time. "In certain patients, the protein ATF6 could serve as a diagnostic marker for an increased risk of colon cancer and could indicate the start of therapy at an early stage," said Prof. Haller—a microbial therapy is conceivable, when we know more about the composition of the bacterial flora. What now became clear, however: Chronic inflammation has no effect on cancer development in the colon."